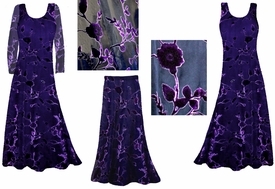 This is an absolutely stunning lightweight sheer burnout drapey fabric - great for summer! 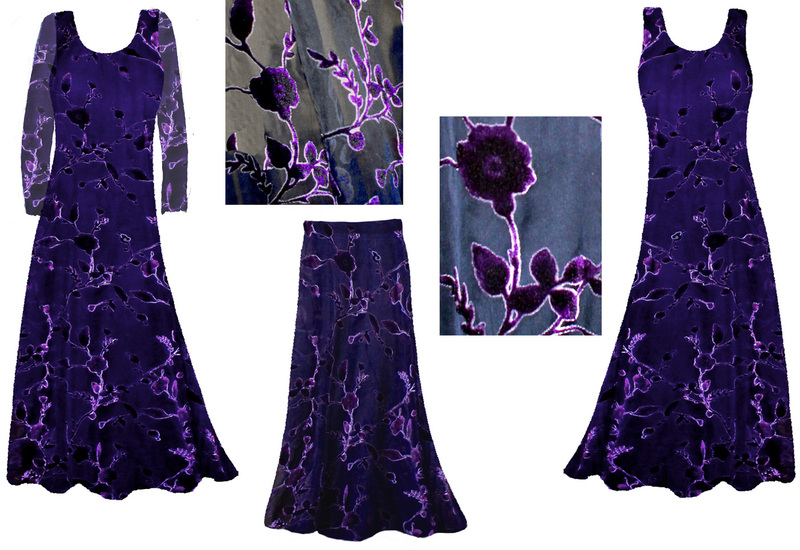 Black with velvety flocked deep purple or black flowers - it's gorgeous! You can add a tank underneath & wear it out on the town, or leave it as-is, sheer, and wear it over a swimsuit! You can keep it a tank, or add sleeves, and you can choose between a round or v-neckline! It's available in dresses, shirts, jackets, dusters, and skirts- in sizes from Large up to 8x! (check measurements below!) They're washable (delicate) & a little stretchy, with a great drape!